Klassikloft-Cologne offers a wide range of both inclusive and customer-specific services that will make your hobby even more enjoyable. For example, your car can be prepared for planned excursions, TÜV (MOT) appointments can be organised, and service and maintenance carried out. Just get in and drive off! Klassikloft is not just an average parking garage. Working with professional partners, Klassikloft-Cologne provides the perfect solution to the problem of where to keep, and how to look after your classic and sports cars, so that you can spend the maximum time enjoying your hobby. Our aim is to enable you to enjoy your love of cars, free from worry. 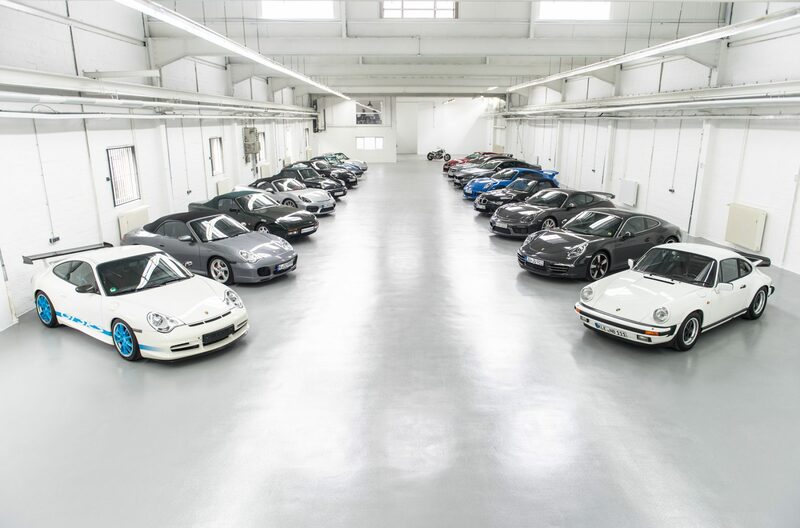 The completely modernised and renovated ex –factory hall, with its unique loft character, lies directly at the A555, Germany’s first autobahn, which leads you en route to the famous Nürburgring racing track in less than 45 minutes. Cologne-Bonn airport is just 15 minutes away. Via the autobahn you can reach regions in the Eifel, at the Rhine or in the Bergisches Land that are popular with both car and motorbike enthusiasts, for private and group outings. Here’s your route to us. We invite you to make an appointment with us. You are welcome to send us your enquiry via telephone with no obligation and free of charge. We will then contact you immediately. We would be glad to arrange an appointment for you to view our premises.